Barcelona superstar, Lionel Messi, 31, is currently enjoying summer break with his family in Ibiza ahead of the new domestic season. 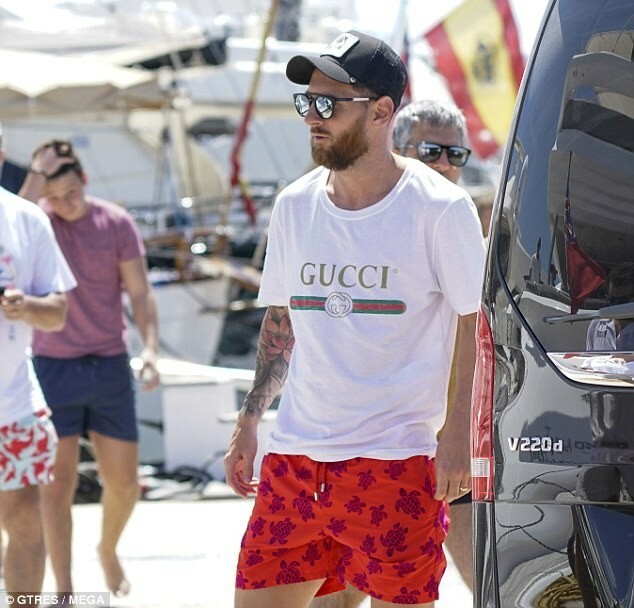 The Argentine star and five-time Ballon d'Or winner was spotted on Tuesday unwinding on a luxury yacht in the sun with his wife Antonella Roccuzzo and some of his family members. Before making his way into the yatch, Messi took time to pose for a series of photos with some delighted fans.